Intriguing storyline, Slicing enemy heads off, Great voice acting and Summon rats! Not enough skills, AI are dumb sometimes and Headshot does not kill!? 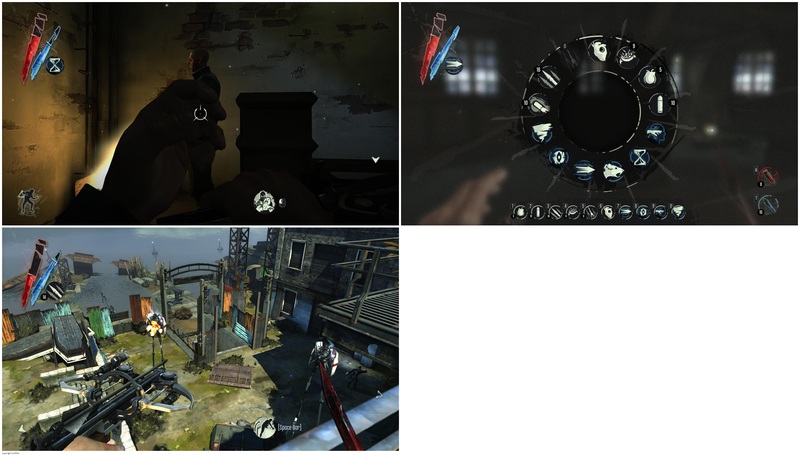 I might be late to the show for this review, but Dishonored was probably one of the most hyped games of the year, so how I can I not review it? I’m pretty sure everyone, by now, have played the game or at least watched the trailer. My first thought of the trailer was breath taking. The cinematic portrayed a bunch of different skills that looked awesome (like stopping time in TimeShift), leaping off buildings (like Assassin’s Creed style) and stabbing enemies in the neck and even blowing doors to hell! The trailer has definitely captured me in and I couldn’t wait to play it. But did it love up to it’s hype? 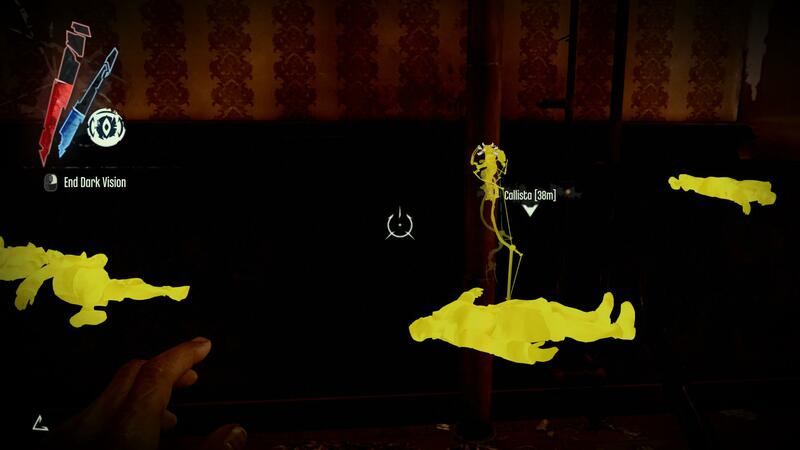 In Dishonored you play as Corvo, a protector for the empress. After coming back from a mission and meeting up with the empress, a bunch of assassins appear out of nowhere (literally), kills the empress and takes her daughter. You get knocked out and everyone starts pointing the finger at your for killing the empress. And long story short, you escape prison with the help from the Loyalist rebels and they want you to rescue the little princess that was kidnapped and reinstate her as the new empress. And long goes your journey to take revenge on the ones that killed the empress and framed you for it. The storyline is alot more interesting than how I am explaining it, but let me tell you, this is one of the best games I’ve played this year (with the exception of Mass Effect 3 and The Walking Dead series of course). Yes, there are some minor setbacks, but the positives of this game outweighs the negatives. With that said, that’s get down to the nitty gritty of the game. One of my favorite points in the game is in its simplicity in battle and that simplicity makes this game so much fun to play. The basic combat system is left click to use your sword, scroll wheel to pick your secondary weapon/skill, right click to use said skill/weapon and “C” to crouch/stealth. With a lot of other games that use the number keys to choose your weapons/skills, I find myself ALWAYS hitting the wrong number key and therefore ending up getting killed or spotted. Another thing I like is how it slows down the gameplay when you are choosing your skills instead of completely pausing it. Another amazing point that increases the fun level of the game is the skills that you can utilize. 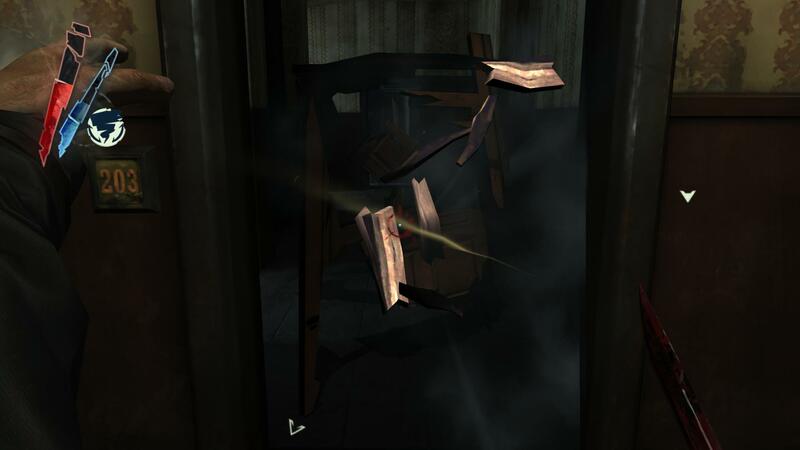 For example, you can blast certain doors down that will scare the crap out of the enemy and give you a surprise advantage. 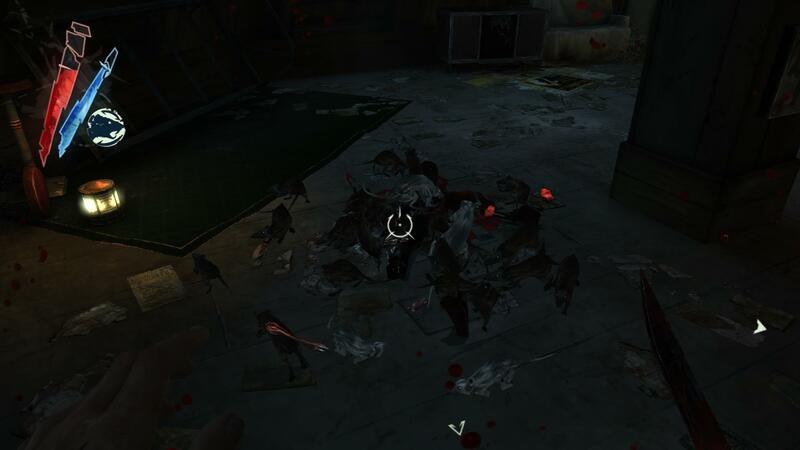 Or if you killed an enemy and have nowhere to hide their body, you can summon rats, yes…RATS, to devour the body so no one will ever discover it. Some other skills that you can use to maximize your strategies are teleportation, time stop, possess animals or enemies, shadow eye and more. Weapons include a gun which is pretty loud and would normally attract enemy and a crossbow that you can use sleeping darts and bolts. 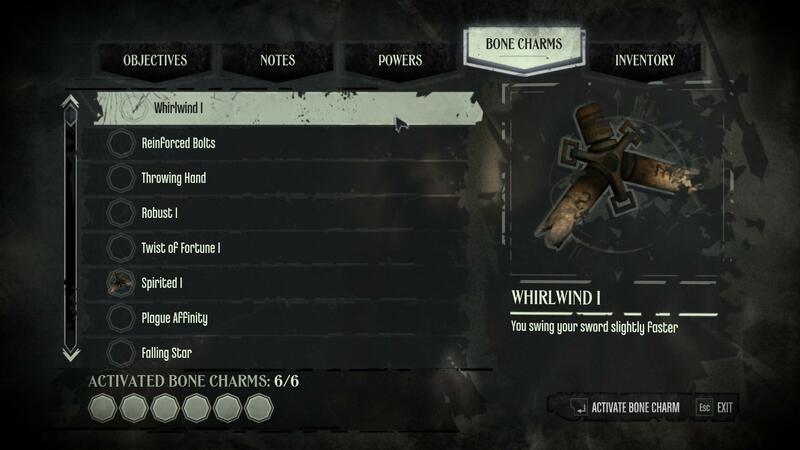 Throughout the game, you would also find runes, which you can upgrade your powers with and bone charms which can grant you passive abilities (such as eating food will replenish more health, drinking from sink will replenish mana, bolts are reinforced so you have a higher chance of getting it back and so on). I find myself hunting for charms and runes before I do any quests! As you can see, there is so much to do and different ways to do things. As well, there are many ways to accomplish your mission, lethal or nonlethal and a lot of different entry point to which you can accomplish your missions. There are so much more to this game, and this is what makes it fantastic. There are no games without its flaws and these flaws doesn’t necessarily kill the game. One of my major complaints for the game is that there are definitely not enough skills (or maybe I’m just used to playing games with a whole bunch of skill trees). There are only about 7 skills that are actually usable; although those 7 skills are pretty darn awesome…did I mention you can summon rats? Even with those awesome skills, I just want something with a little more power. Yes, the rats and whirlwind are pretty darn useful, but only against the human AIs. A little into the game and you start facing tall boys, which are basically humans on super long robot legs and the only real way to kill them is to shoot them a whole bunch of times at the whale oil they carry (not a good strategy, they will kill you fairly easily), throw a whole bunch of whale oil bombs at them or climb onto a building, jump and stab them in the neck. With the latter being the easiest one hit kill for them. Granted this is a stealth game…so that’s probably why it is the easiest way to kill them, but killing them any other way will definitely alert the other guards and sometimes even stealth killing them you would have to get rid of the other soldiers first before killing the tall boy or you will get discovered. It might be easy to get spotted at times, but the AIs can be completely dumb at times as well. I can easily kill a soldier right next to them, and they would normally not notice you unless they are moving to another waypoint. These are some complaints I have, but it definitely does not stop me from having one hell of a time. I would definitely recommend this game to everyone that likes the stealth genre and I challenge you to complete this game without killing a single soul. It is as hard as it sounds and I have been ripping my hair out, restarting over and over whenever I get spotted or killing someone. With all of that said, even with the complaints I have, this is an amazing and beautiful game. The folks at Arkane Studios did a mighty fine job and kudos to them! Well…what are you waiting for!? Go and try it for yourself, and don’t forget to tell me what you think about it!